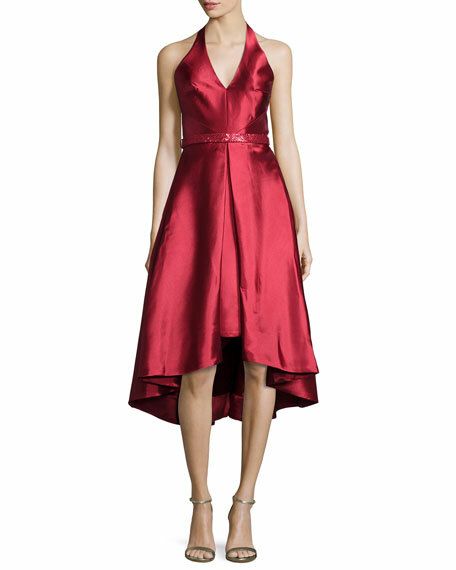 ML Monique Lhuillier cocktail dress in mikado. Approx. measurements: 31.5"L from shoulder; 38.5"L back. Halter neckline; open back with hook-and-eye closure. For in-store inquiries, use sku #1604039.